We are a full-service landscaping company with a straightforward and unique design/build philosophy. We believe in having one person handle the job, by doing this you are able to communicate and work with a single individual, where you can share your thoughts and idea's with to bring them in collaboration, to life. 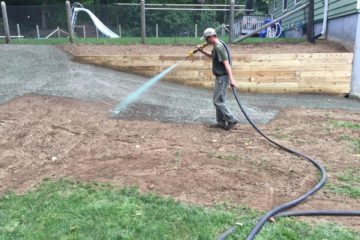 B&D Landscaping is made up of a group of highly skilled landscaping professionals who pays a lot of attention to small details. In the 30+ years of experience our staff keep your property looking and functioning beautifully. Take back your free time by having us take care of your garden! Dear Bryan, Thank you for excellent service at our home. Your employees were always prompt- reliable and did a great job! Dear Bryan and the B&D Landscaping team: We don't think we've ever been more pleasantly surprised. The beautiful, professional landscaping overhaul you performed is like a dream come true, far exceeding our expectations! We had talked with several landscapers and had obtained several estimates. It was not only your courtesy and professionalism that won us over, but the vast array of creative ideas you offered, enabling us to achieve what we would have believed impossible, affordably! Your team is punctual; high skilled and dedicated; extremely courteous; at all times considerate; and there is not one slacker! We can't believe how quickly and perfectly the job was completed, and we plan to use your services for all our landscaping needs. Perhaps most of all, we appreciate that you always "go the extra mile"! You've become much more than landscapers to us, now you are treasured friends. Thank you- Thank you- Thank you- Bryan and the B&D Landscaping team! 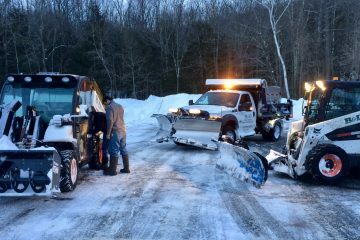 Bryan and Darlene, Just wanted to say that you certainly have a great team handling our plowing/cleanup needs. I have seen them working several times and they have been trained, or developed a good system of cleanup. 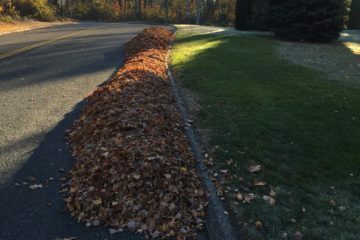 I don't know how they keep up the pace they work at, but WOW! Also, I was told by a friend who was parking as they were doing my driveway, that the young man who asked him to move was very courteous. Thanks! B&D Landscaping did a great job, crew was professional, courteous, and fast. Took a big job and executed like the pros they are. Would recommend to anyone.